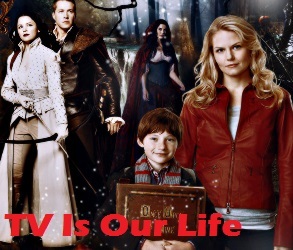 Where to see your favorite OUAT stars! Sonequa Martin-Green (Tamara, 2013) stars in Star Trek: Discovery on CBS All Access. Nathan Parsons (Nick/Jack/Hansel) stars in "Roswell, New Mexico" Tuesdays on The CW. Giancarlo Esposito stars in "Godfather of Harlem" Fall 2019 on Epix. Jamie Dornan stars in an HBO movie, "My dinner with Hervé." It airs Saturday, October 20. He also appears in a new miniseries, "Death and Nightingales" on the BBC. Josh Dallas appears on "The Today Show" Monday, January 7 on NBC. He stars in "Manifest" Mondays on NBC. Greg Germann (ex-Hades) has a recurring role on "Grey's Anatomy" Thursdays on ABC. Mckenna Grace (young Emma) stars in "The Haunting of Hill House" October 12 on Netflix and appears in the new "Captain Marvel" series in 2019. She has a recurring role on "Young Sheldon" Thursdays on CBS. Jennifer Morrison has 3 new movies coming out. Lost-esque Drama Manifest Starring Josh Dallas Ordered to Series at NBC. Patrick Fischler (Isaac) appears in "Happy" Wednesdays on Syfy. Oded Fehr (Jafar) has a recurring role on "How to Get Away With Murder" Thursdays on ABC. He guest-stars on "The Blacklist" Friday, March 29 on NBC. Merrin Dungey (ex-Ursula) stars in "Big Little Lies" Sundays on HBO and also appears in "The Resident" Mondays on FOX. Naveen Andrews stars in "Instinct" in the Fall on CBS. Jessy Schram has 3 movies coming out. Greg Germann (ex-Hades) has a recurring role this season "Grey's Anatomy" Thursdays on ABC. Elizabeth Mitchell (ex-Ingrid) is heading to The Expanse! She'll guest star in Season 3 as a character who brings a different spiritual perspective to the table. Richard Schiff (ex-King Leopold) stars in "The Good Doctor" on ABC and appears in the new Starz series "Counterpart." Giancarlo Esposito (Sidney) appears on "Better Call Saul" on AMC and appears on "Conan" Monday, 9/3 (Re-run from 7/18/18) on TBS. Meghan Ory (Ruby) stars in this on the Hallmark Channel: Coming Summer 2016 is the anticipated series premiere of “Chesapeake Shores,” starring Jesse Metcalfe (“Dallas”), Meghan Ory (“Once Upon A Time”), Golden Globe® nominated actor Treat Williams (“Everwood,” “Hair”), Academy Award® nominee Diane Ladd (“Wild At Heart”) and Barbara Niven (“Debbie Macomber’s Cedar Cove”). The 8-episode season is based on the novels of the same name by New York Times bestselling author Sherryl Woods. Abby O’Brien (Ory) is a high-powered career woman, divorcee and mother to two young daughters. After years away from her family, she takes a trip from New York City to her hometown of Chesapeake Shores. The visit brings her face to face with her past, including her high school sweetheart Trace (Metcalfe), her father Mick (Williams), her sister Jess, and her beloved grandmother, Nell (Ladd). This trip also makes Abby notice the toll her career has taken on her ability to be a hands-on mother to her daughters. As she spends more time in her charming hometown, Abby begins to consider a permanent move to the town she once called home -- Chesapeake Shores. Niven also stars as Megan, Mick O’Brien’s estranged wife. Dan Paulson is the executive producer of “Chesapeake Shores.” Martin Wood is the director and executive producer. Vicki Sotheran and Greg Malcolm are the producers. Nancey Silvers is the writer and executive producer, based on the books by Sherryl Woods, who also serves as an executive producer. Wil Traval (Sheriff of Nottingham/Keith) stars in "Jessica Jones" on Netflix. Sebastian Stan (ex-Mad Hatter) appears in "The Bronze," out later this year. He reprises his role as Bucky in the new "Avengers" movie and appears on "Watch What Happens Live" Thursday, 5/3. Robbie Kay (Peter Pan) stars in "Heroes Reborn" on NBC this Fall! David Anders (Whale) stars in iZombie on The CW. Sophie Lowe (Alice) has a few movies coming out soon. Bailee Madison (Young Snow White) appears regularly in "The Fosters" on ABC Family. Jamie Dornan stars in the movie "Fifty Shades of Grey" and its sequels, as well as in the show "The Fall". Noah Bean (ex-Daniel) stars in "12 Monkeys" on Syfy. His character was killed, but he could re-appear, since it's science fiction and involves time travel and alternate realities. Giancarlo Esposito (Sidney) has a lot of new movies coming out. Whoopi Goldberg (Mrs. Rabbit) appears every weekday on "The View" on ABC. Jennifer Morrison (Emma) has 3 or 4 new movies coming out. Robert Carlyle (Gold/Rumple) has a new movie out in 2015 and does a video game voice this year. Emilie de Ravin (Belle) has a new movie out this year. Lee Arenberg (Grumpy) has 3 new movies coming out soon. Michael Raymond-James (Neal) has 3 movies coming out soon. Sarah Bolger (Princess Aurora) has 3 movies coming out soon. Alan Dale (King George) frequently guest-stars on NCIS. Emma Rigby (Red Queen) has 2 new movies out in 2014. John Lithgow (White Rabbit) has many films coming out and stars in the new play "Hillary and Clinton," which previews March 16 and opens April 18. More Info He appears on "The Late Show with Stephen Colbert" Wednesday, 4/3 on CBS.